Based off the bestselling, award-winning novel by Susanna Clarke, “Jonathan Strange & Mr. Norrell” takes viewers on a journey through alternate history during 19th century England. Magic, a lost art which has lain dormant for centuries, is showing signs of returning. At the center of this renaissance are two men who are destined to become the greatest magicians that England—and possibly the world—have ever seen. However, Gilbert Norrell Bertie Carvel (Restless, Hidden, Matilda) and Jonathan Strange Eddie Marsan (Best of Men, Ray Donovan, Filth) not only have to deal with all the trappings of Georgian society, the Napoleonic wars, and the whims of the supernatural, but with their own egos and most of all, an uncomfortable realization that there may not be enough room in the world for one magician, never mind two. 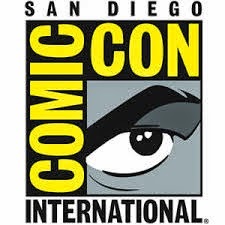 It’s funny how you hear something in a speech somewhere about not judging books by their covers or being disappointed when you watch a movie or television show after being drawn in by the trailers. That is exactly what happened to me with “Jonathan Strange and Mr. Norrell.” I had seen the previews on BBC America and had wanted to watch it, but missed the first couple of episodes. So, when offered the opportunity to review it, I jumped on it because I was so interested in the story. Unfortunately, I was disappointed that I didn’t love it from the very beginning. Mr. Norrell is the only magician in England… or so he thinks. Magic has been all but forgotten for the last several hundred years. “Magicians” study magic, they do not practice magic. But Mr. Norrell wants to bring magic back to England. When asked to resurrect a colleague’s wife, he does, but in doing so, makes a deal with a fairy whose intentions are not honorable. Mr. Norrell finds out he might not be the only magician in London. Jonathan Strange is an awkward fellow who doesn’t quite know what to do with himself. When he meets a street magician named Vinculous, he’s told he has a gift for magic and begins studying the art form. 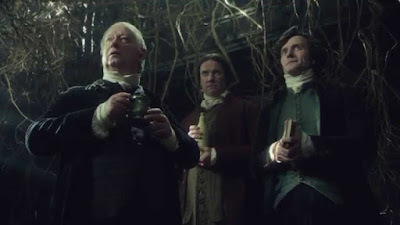 Jonathan begins studying under Mr. Norrell, who is still trying to figure out what went wrong with Lady Pole’s resurrection. When Jonathan is enlisted into the British army to assist the Duke of Wellington in the war against France, he leaves London and Mr. Norrell. After the war, Jonathan returns to England and reunites with his wife Arabella and begins writing a book about magic. Arabella who has caught the eye of the fairy is tricked by him and taken to the fairy’s realm and replaced with an imposter that was created with black magic. After the impostor dies, Jonathan returns to London, completes his book and gets it published. 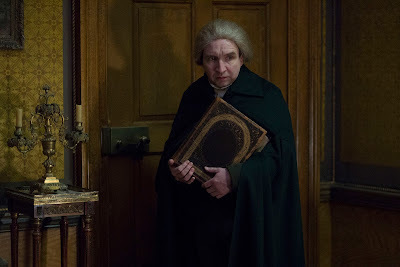 But Mr. Norrell uses some dark magic to make the books disappear. Now in Venice, Jonathan is a fugitive and befriends another Londoner and his daughter. Jonathan continues with his magic and finds another world behind some mirrors. He discovers this is the world of the Raven King and wants to bring him back and restore real magic all over the world. During his time in Venice, Jonathan also discovers the fairy’s world and sees Arabella, who has been enchanted and doesn’t remember him. Vowing to save her, Jonathan returns to England, reunites with Mr. Norrell and teams up with him in order to stop the fairy, save Arabella and bring back the Raven King. This is another situation where I found out after I started watching the series that it is based on a book. I’ve read some reviews of the book and they’ve all been positive, so I’ve added it to my book list. However, the show didn’t grab me like I thought or hoped it would based on the previews. Don’t get me wrong… the acting was brilliant. I loved the actors and the characters. I just think that the story was a bit lacking. Maybe it’s a matter of the story not translating to screen as well as it did on paper. The fairy was creepy and terrifying and the love that Jonathan had for Arabella was sweet. I thought all the actors did quite well and portrayed their characters realistically. The sets were amazing. Perfectly dark and dreary for such a story, but also brought in enough character on their own to really make the viewer believe they were in 19th century England. Costumes were also very well done. 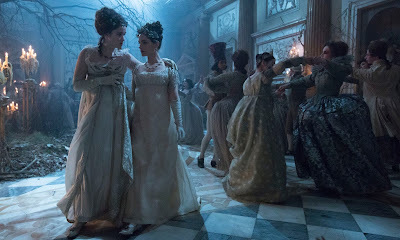 I loved the dresses Arabella wore, and thought the costuming for Jonathan and Mr. Norrell was also very good. The only thing I wish is that the story had held my interest from the beginning more. I found myself watching the clock and becoming restless. If there is a season two, I hope it comes together a little better than the first season. It took me at least three full episodes to really figure out who was who and what was going on. A short, limited series like this can’t afford to alienate people within the first couple of episodes. It needs to grab you from the start. 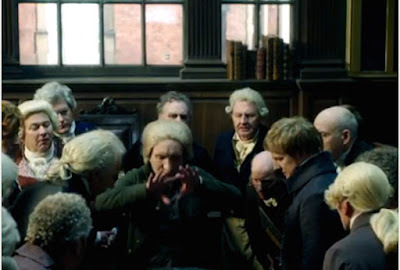 The widescreen presentation of “Jonathan Strange and Mr. Norrell” was really excellent. The colors were almost perfect – with the appropriate level of dark and light. Shadows were done really well and the picture was beautiful. It’s a somewhat dark show, but the sets, costuming and colors really worked well together. Nothing blended unnecessarily and the picture was sharp and clear. 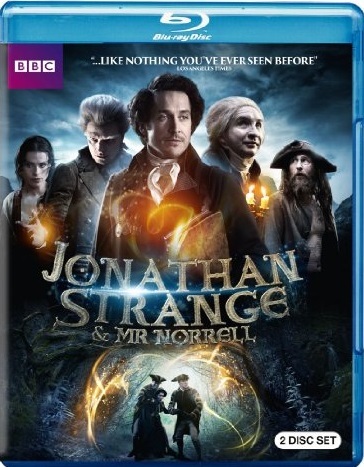 “Jonathan Strange and Mr. Norrell” is presented in Dolby Digital and it is good. Parts are a little loud, but all the dialogue is easily heard. The background soundtrack blends well and gave off the right amount of creepy and adventure intensity. The Blu-ray includes only one special feature and thankfully, it was the only one. Truth be told, it gave me a better understanding of the show and of the story I just watched. 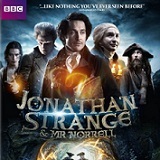 The Making of Jonathan Strange and Mr. Norrell – With a runtime of just over 26 minutes, this feature includes interviews with the cast and crew and provides insight into the story and the characters. It’s a behind-the-scenes look at the show and how it came together. Since I’ve watched the show, it’s had time to sink in and for me to really let it sit for a while. I find that I want to watch it again and read the book. I’ve reserved the book at the library, so maybe once I've read it I’ll watch the show again. The show was entertaining, if not a little difficult to follow at first, but by the end, I was enjoying it. 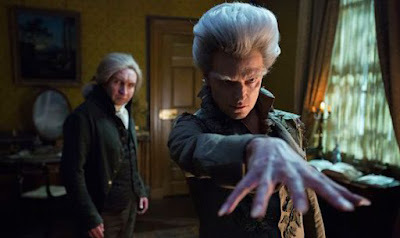 “Jonathan Strange and Mr. Norrell” is a fun fantasy and good story.